UMi, the Chinese smartphone maker that's trying to make headlines with its high-end products at very low prices. The last achievement of the company is called UMi Plus, an Android smartphone packing 4GB RAM and a Helio P10 CPU, which is priced at only $250. Today, UMi made an even bolder statement with the announcement of a more powerful device, the Extreme Edition of the UMi Plus. The upcoming version will pack no less than 6GB of RAM and it will be powered by MediaTek's Helio P20 processor. The information has been posted on the company's Facebook page where two different color versions of the UMi Plus Extreme have been added: blue and black. Aside from the fact that it comes with a Helio P20 CPU inside and 6GB of RAM, there might not be any other differences between the extreme and regular versions of the UMi Plus. The regular UMi Plus sports a 5.5-inch display that support full HD (1080p) resolution, as well as 13-megapixel photo snapper on the back. As expected, the Chinese smartphone offers dual-SIM support and quick charging for the massive 4,000 mAh battery. However, the extreme model will ship with Android 7.0 Nougat right out of the box, if we are to believe UMi's announcements, whereas the regular model will still run Android 6.0 Marshmallow. Unfortunately, there's no mention about the price, but since the regular model has been priced at just $250, it would make perfect sense for the extreme edition to cost around $300 or $350 outright. 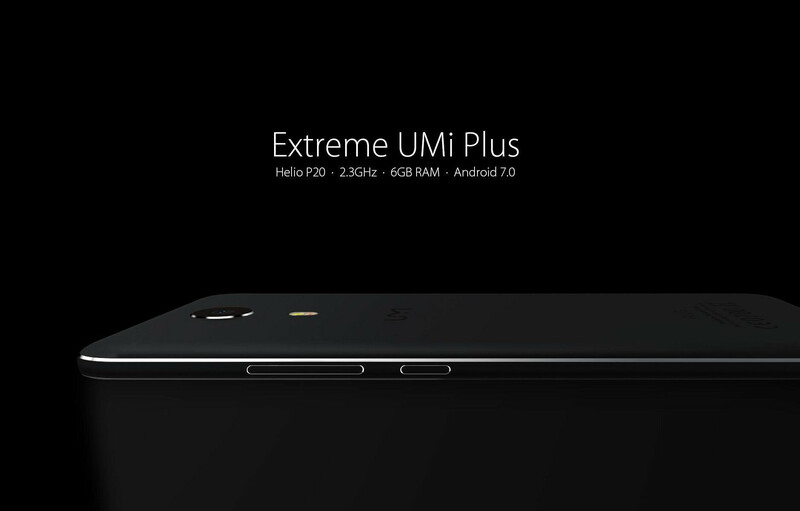 On top of that, UMi Plus Extreme Edition is likely to be available worldwide, but customers will still have to purchase it from China and pay for any customs taxes it might require. More RAM doesn't equal better performance. Most of the apps are small that are loaded in RAM. Why is a 2 and 3GB iPhone 7 faster than a 4GB, 6GB, 8GB Android smartphone? The answer has already been answered through various videos. It's the Android manufacturer's way of a used car sales. Not well put. Perfectly put. It would be nice to see Google revamp the RAM management that Android currently has to make it more efficient.